ComReal Miami’s Industrial Team represented Monaco Foods, Inc. in the purchase of its new warehouse in Miami, located at 1120 NW 165th Street. The search began in May 2011 when one of the principals with Monaco Foods came to ComReal’s office at the Miami Free Zone, in Doral. There he met with Edison Vasquez to discuss their future warehouse needs for their foods distribution business for the North and South America markets. Monaco Foods’ requirement was to locate a warehouse larger than 40,000 sq. ft. located in central to northern Miami-Dade County. Edison Vasquez along with colleagues, Ed Redlich and Chris Spear, identified multiple properties over the next two years. However, none of them seemed to offer the value and flexibility that Monaco Foods required.The search continued adding vacant land parcels to the site selection in order to develop a new, custom built warehouse. Just before signing a deal on a land parcel, this Miami warehouse came on the market and met most of the criteria. The subject property had been available for lease for several months prior to its availability for sale. Recognizing its great value, ComReal assisted Monaco Foods with the negotiations on the building, which was then placed under contract within a few weeks. At a total size of 75,526 sq. ft. it’s one of the largest sales to an owner-user in Miami-Dade County so far this year. Additionally, this was one the last few large warehouses, above 50,000 sq. ft., available for purchase by an owner-user. The property is located within the Sunshine State Industrial Park off of the Golden Glades highway interchange, where I-95, Florida’s Turnpike, Palmetto Expressway (SR-826) and US-441 meet; making this location ideal for distribution. The building was originally constructed in 1981 and formally occupied by the company Bullet Line. The seller was Keystone Florida Development, LLC., affiliated with The Pugliese Company based in Delray Beach. 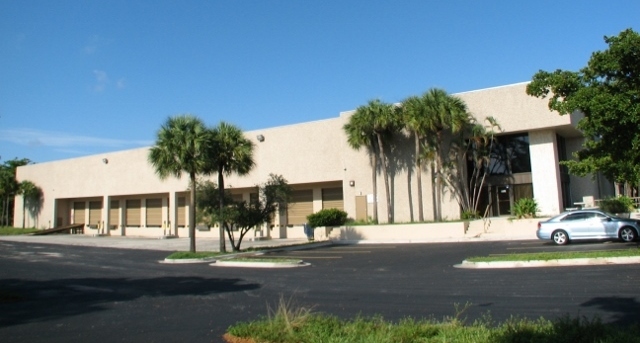 Cushman and Wakefield of Florida represented the Seller. Monaco Foods specializes in marketing and distribution of premium quality food products throughout the American continent (north, central and south) and the Caribbean. Its business was expanding significantly and saw Miami as an opportune destination to relocate its business. Monaco Foods will transition from their current 22,000 sq. ft. warehouse in Pompano Beach to the new location in Miami. Learn more about them at www.MonacoFoods.com. For more information on this transaction and for market information on the industrial real estate market in Miami, contact the ComReal Industrial Team at 786-433-2380.